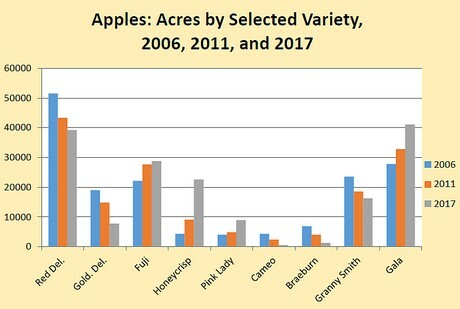 The 50-year reign of Red Delicious as the most dominant apple variety in American orchards is over. According to the U.S. Apple Association, the new ruler over the apple domain is the far superior Gala apple. This year, U.S. grocers will produce 52.4 million boxes of Gala apples compared to 51.7 million Red Delicious. This means the American consumer has spoken, demanding tastier apples. According to some, Red Delicious apples are waxy, tough, sometimes mealy and flavorless.